The International brand of vehicles is typically know for trucks, with a rich and diversified history that also includes passenger vehicles and pickup trucks. You won’t find too many International vehicle brochures today, but we do have few. 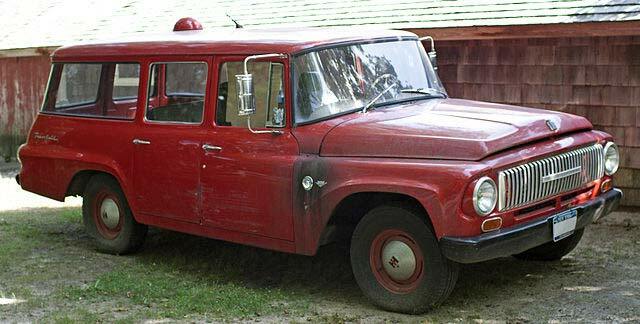 International was actually the International Harvester Company that was formed in 1902 when the McCormick Harvesting Company and the Deering Harvester Company merged. They were primarily a company that focused on farming equipment, but eventually became a manufacturer of a very diverse line of vehicles and products. 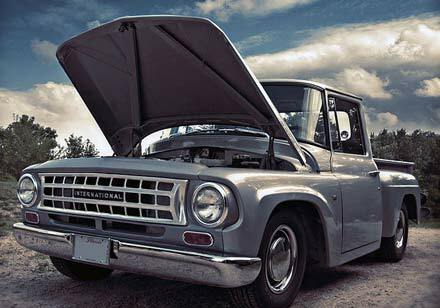 These products included farm tractors and implements, construction equipment, military vehicles, trucks, buses, gas turbines, cargo vehicles, pickup trucks and some the earliest SUVs. However the International vehicle brochures that you will find here although not plentiful are pertaining SUV s and small trucks. The International Harvester Company went through a tough time it its long history in the late 1980 to the early 1990s and this changed for this long admired giant. 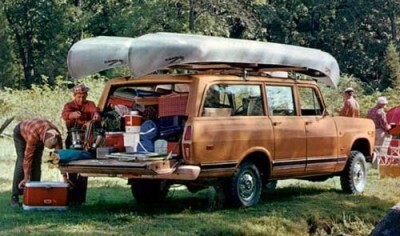 In order for the company to survive they started selling many of their assets and products and focus on trucks. 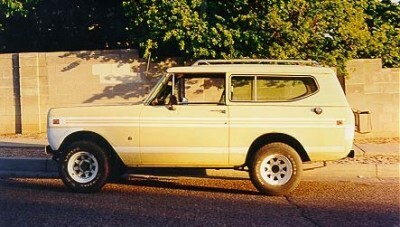 The Agricultural division was sold to Tenneco, which owned Case equipment, the lawn and garden Cub Cadet division was sold to MTD products, the construction division was sold to dresser Industries and the gas turbine line was sold to Caterpillar and the Scout and light vehicle parts line was sold to Scout Light Line Distributors. The remainders of the products were commercial trucks and the company name was changed to Navistar. However Navistar decided to get back into the light retail truck market for the first time since 1980 by introducing the International XT (aka Extreme Truck) in 2004. 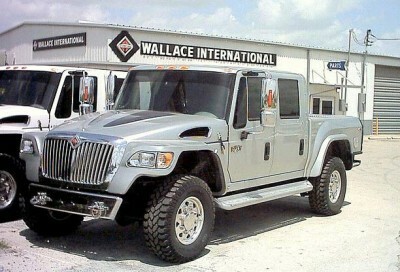 The International Extreme truck line consisted on 3 models the CXT, RXT and the MXT. These were the largest heaviest pick up trucks you have ever seen. They were very sharp and rugged, but this only last for 4 years and in 2008 the International XT was done. 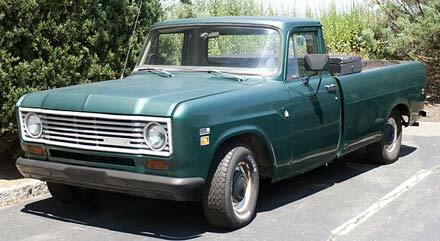 I have searching diligently for International vehicle brochures that include these trucks, but they are rare. However there are a few pictures of these International vehicles here. The International vehicle brochures that we are trying to find are for the vehicles listed below. If have access please send us an email so we can include them here. K and KB Series Trucks: K Series was from 1940 to 1947 and the KB Series was built from 1947 to 1949. 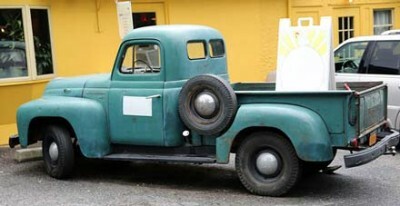 L Series Trucks: The K Series was built from 1949 to 1952. 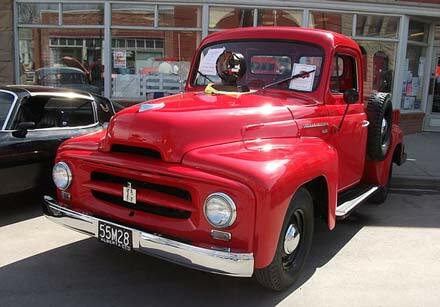 R Series Trucks: The R Series was built from 1953 to 1955. 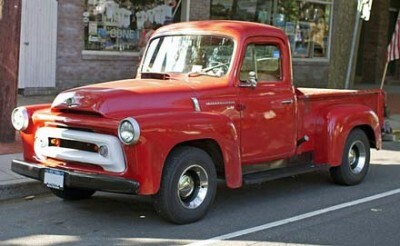 S Series Trucks: The S series Trucks were built from 1956 to 1957. C/D Series Trucks: C Series was built 1961 to 1964 and the D Series was built 1965 to 1969. 100/1000 Series Trucks: The 100/1000 Series International Trucks were built 1970 to 1975.
International XT Series Trucks: The XT Series was built from 2004 to 2008.
International Travelall: The Travelall Series was built from 1953 to 1975. Please contact us if you have access to these International vehicle brochures and you would like to send us a PDF file to display here on Motorologist.com.